With a few albums released under The Paradigm Collective, KJ-52, aka Jonah (his real first name) has gone back to his roots with an independent album release via pledgemusic. Comprised of 8 songs and released on Christmas Day 2016 (for his pledgemusic backers, on iTunes and Amazon at a later TBA date in 2017), this is a must have for anyone who loves rap music along the lines of TobyMac, Manwell of Group 1 Crew, Lecrae or Manafest. And while he’s not necessarily the most promoted rap artist currently (give those accolades to rap artists like Lecrae, Tedashii, KB and Derek Minor), KJ 52 nevertheless has heart and passion, which I reckon is continued on Jonah. Coming into his own with the release of his successful album Hope in Front of Me, Danny’s next album release Rise slated to drop on January 13th is something to be excited about, for anyone who loves CCM, like myself. In fact, dare I say that even if we haven’t really heard much of the new album prior to release date, the kudos that Danny has received from songs like “Tell Your Heart to Beat Again” and “Hope in Front of Me” should speak for itself? This is project that has been a while in the making (his previous project released in June 2014), but sometimes albums release a little later and it is just the fact that quality is favoured over quantity. If Rise is as half as good as Hope in Front of Me, then Danny’s new album is well worth the wait! When City Harbor quietly disbanded and Mikeschair was no more last year, I was intrigued that in the same breath we were given a new reason to be hopeful with anticipation- that Mike Grayson of Mikeschair and Molly Reed of City Harbor were forming a duo, aptly and even appropriately titled Grayson Reed. Musical similarities? Of course Mikeschair and City Harbor, but I guess they sound like any pop/folk band with CCM roots. Now releasing their new EP titled Walk on January 13th 2017, it was and still is the song “Fight For You” that makes me all the more excited for their 6 song release in the new year. With “Fight For You” having an immediate fan reaction in the weeks after its August 2016 single release, even more so than Hillsong UNITED’s “Oceans” back in the day, Grayson Reed will hopefully be around in the CCM industry for a while yet, filling the void of both/either-or City Harbor and Mikeschair in terms of musical style and lyrical ingenuity. With Ellie taking almost three years to complete her second album, this is an anticipated album for anyone who loves Christian music no matter any way you look at it. While under wraps for a substantial amount of 2016, her brand new single “Find You Here” is already receiving airplay on the radio. With her soulful distinct voice and her acoustic/folk music presence, this is a well welcomed alternative for anyone who loves relaxing and reflective music for anyone who wants something different compared to the amount of CCM currently flooding the music industry market nowadays. If you would have to pick one new artist to make the most impact throughout 2016, you’d have to pick Zach Williams. Sure there are others like Urban Rescue, Hillary Scott (granted, she is not new, but rather a country artist and 1/3rd of Lady Antebellum who has branched out and released a solo country/hymns project), We are Messengers, Zealand Worship, Dan Bremnes, Hollyn, Hannah Kerr and Jordan Feliz to name a few; but Zach’s rise in popularity has been surreal, more like from a movie or TV show than anything else. With the release of his radio single “Chain Breaker” in April 2016, this now-once-in-a-rock-band-now-reformed pastor and Provident Label Group signee has captured our hearts with his southern rock/gospel music atmosphere, in a similar vein to that of Crowder, Third Day and even the currently dormant Rhett Walker Band. Even if we may not enjoy the southern gospel genre that much, we all have heard of “Chain Breaker”. With his debut label solo album releasing physically in stores January 2016, Zach Williams continues to further climb my list of new artists to watch out for in the upcoming year ahead! Not since Anthony’s album Real Life Real Worship in 2014 that we have heard something new from this post-Voice contestant. While still relatively under the radar, Anthony’s music unfortunately hasn’t really been that publicised even throughout his whole career. Which is a shame- his last album with songs like “Never Fail” and “I Found You” alongside his cover of “Mercy Tree” was one of my favourites of that year alone. 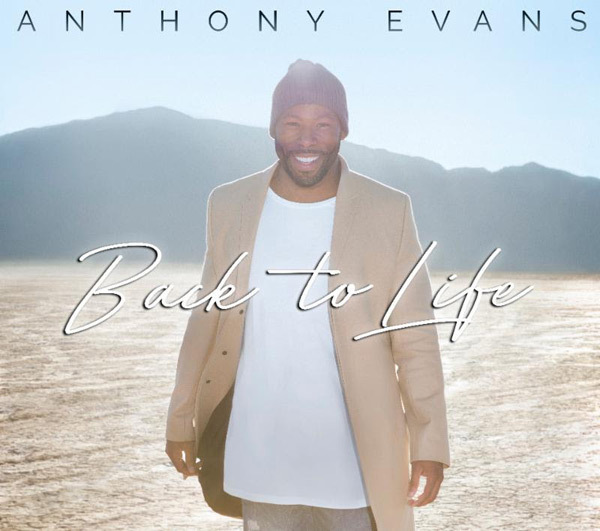 Now releasing his new album in February 2017, along with his cover of popular track “Ever Be”, Anthony’s music is a must have for anyone who loves CCM/gospel. Though it may not be on every person’s list for anticipated albums of 2017, it is on mine. Underrated and quite possibly underappreciated, Anthony’s music is unique and fresh, powerful and impacting, and his new album ought to be the same as well. Everyone knows Kari Jobe. There isn’t really that much to say- just that if this album is not on your anticipated albums of 2017 at all, then you don’t know who Kari is (which is baffling considering that her music has flooded the airwaves for quite some time) or you just don’t like worship music. Nevertheless, her new radio single “The Cause of Christ” and her promotional single “Heal Our Land” are just what is needed to keep us all interested til when The Garden releases in February 2017. I guess I could say that you’d be living under a rock if you haven’t heard that Gottee alumni artist Jamie Grace was dormant for 2 and a half years, split from her label and now releasing music independently. Tentatively scheduled to release in February 2017, Jamie’s new album that’s yet to be titled but features single “Party Like a Princess” is something that is a long time coming for Jamie Grace fans. Though I myself aren’t really much of a fan compared to others, I can appreciate Jamie’s music, and with her new song venturing into the rap hip-hop genre, I am eager to see what the rest of the album will bring. David Dunn has been an artist on the up and up these last few years. With songs like “Today is Beautiful”, “Ready to be Myself” and “Have Everything” charting the radio in the last few years, his new album Yellow Balloons is intriguing. This BEC Recordings artist is emotive and heartfelt, in a similar vein to that of Matthew West and Bebo Norman lyrically and Sanctus Real or Kutless musically. David’s music, while not as popular as it should be, I’m sure will change with the release of “I Wanna Go Back”, a song of lament about how the persona wishes to go back to the simpler times of just believing the gospel instead of all the complexities that comes with modern day Christianity, David’s new album is sure to press all the right buttons- with feelings of hope, confrontation, comfort, and discomfort hopefully all in the same album. Drops February 17th, and I’ll certainly be adding Yellow Balloons to my must-have albums list when it comes. MercyMe are one of the pioneers of Christian CCM/pop music in the modern era, alongside other artists like Casting Crowns, Building 429, Tenth Avenue North and Third Day. With their most recent album Welcome to the New receiving RIAA Gold Status, it’s time for MercyMe to record and release their next album Lifer dropping March 2017. While I don’t actually know how the album is going to be stylistically, nor do I know how the new radio single, ‘We Win’, will sound like when it drops come January 2017; I am still nevertheless excited about the album, because, frankly, and honestly, can MercyMe do any wrong? One of the most heartfelt and hopeful bands I’ve ever heard of, I expect their new album Lifer will continue from where Welcome to the New left off. 3 and a half years since God of Every Story that released in September 2013, Laura finds herself releasing her new album in March 2017, with the title track ‘Open Hands’ feat. Mac Powell of Third Day now serviced to radio. 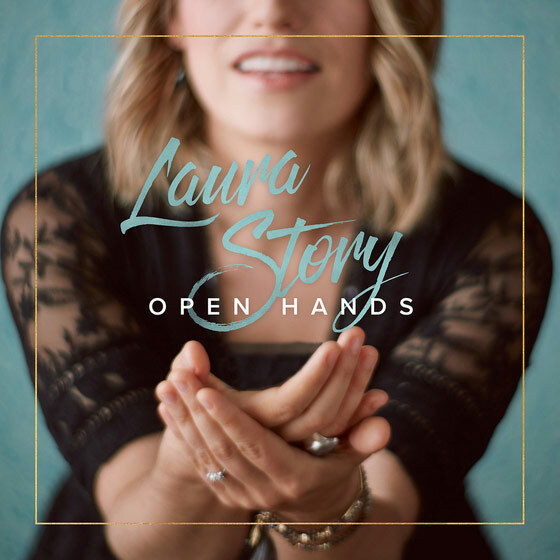 While it has taken a while for Laura to indeed release albums in general (Blessings released in early 2011, while Great God Who Saves prior was in 2008), Laura’s music has always been uplifting and comforting, and I expect Open Hands not to be any different. While with every release I feel somewhat indifferent to Seventh Day Slumber’s music (quite frankly, my favourite from this rock/worship band was ironically their quasi-cover album Take Everything), I still keep listening to this rock quartet, with the hope for them to return to the quality of yesteryear, to come back to their roots that was portrayed quite nicely on Once Upon a Shattered Life. Now with their new album Found releasing April 2017, I am still intrigued of what Joseph Rojas and co. will unveil in a few months. Whether you absolutely love Seventh Day Slumber or love to hate them, they are a band that will touch millions of lives, and I’m sure Found will serve its purpose come April 2017. Now this is something I am looking forward to. Releasing in April 2017, this project from Stu. G, one of the founders of Delirious?, is releasing in 3 parts all under the umbrella title of The Beatitudes Project. The book, Words From the Hill (An Invitation to the Unexpected) from NavPress, a full-length album: Beatitudes with The Fuel Music, and a yet to be titled documentary film currently in the works, all release in April, and all reveal a world that is connected through various stories, where real people are shown that embody hope, mercy, poverty, meekness, peace and the like, experienced and choreographed through the lens of the 21st century man. Pretty cool description of what the premise of each of these three parts of this big project is about right? Now picture this when it comes to who is going to be collaborating with Stu G. on the album part of the project- himself, Amy Grant, Michael W. Smith, Martin Smith, Matt Redman, Audrey Assad, John Mark McMillan, Joel Houston, Amanda Cook, Propaganda, All Sons and Daughters and The Brilliance; and then you get a project that you know for sure will be nominated for the Special Event Album of the Year at the Dove Awards (and in my mind is a no brainer in winning in that category as well!). Quite frankly, this is a must have for anyone who loves music, like how Music Inspired By The Story was a must-have before this, and Compassionart prior as well! All I really know about this one is that Shawn is releasing an album independently via pledgemusic, releasing TBA 2017. Shawn has always been an artist that has produced music with an acoustic/indie slant so I guess it is no surprise that he has decided to release a project fully independent and free from expectation. Would I listen to his new album when it releases next year? Of course. Yet will I believe that this new album from Shawn will have repeat value? I dunno. I thoroughly loved Brave that released in 2014, but that was his most CCM album yet, and I suspect his new album will be more inclined to an indie sound than CCM. Nevertheless I am intrigued. And maybe you are too. So here’s to a great Shawn McDonald album, whenever it comes in 2017! This EP should’ve released in October 2016. It was the 2nd part of the Resonate series that pop/worship duo LoveCollide was going to release in 2016. The first part did so in March, yet we are still waiting for part two. While I am hoping that LoveCollide releases the EP soon, I don’t know. It may come in 2017 or it may be released at a later date with more songs added. Still, I am eagerly anticipating their new EP/album, and maybe, just maybe, when you hear their previous music, you will be anticipating their forthcoming material as well. There you have it, my most anticipated albums of 2017. What are yours? Which albums from this year have come from left field, to impact you more than you thought the album would? Let us know in the comments. Previous PostFIRST IMPRESSIONS REVIEW – Danny Gokey’s “RISE” and Grayson Reed’s “Walk”Next PostChristmas Comes Once A Year, But Do We Have to Act That Way As Well? I’m pumped Aaron Shust’s ‘Love Made a Way,’ dropping in March. John Waller’s ‘Good News’ will be good too, though I don’t think it has a release date yet. I know Colton Dixon, Finding Favour, and Hollyn are all dropping albums in early 2017. Looks like it will be a good year indeed. Wow! Finding Favour! New Album! I am excited! yeah, definitely excited about hollyn’s new album- i think that’s dropping February 10th 2017 (digital) and March 3rd (physical). Though I’ve only heard ‘all that matters’, i also reckon colton dixon’s album will be good as well- i think that’s coming out in march as well. I’m quite sure that Hollyn’s album will be breathtaking as I’m loving the Can’t Live Without single. Let’s see about Colton Dixon. I am excited for all of the above but since I love worship music, I will say I am also excited about Brian and Jenn Johnson’s album which I think will be released in January 2017.
yeah, i’m sure lifer is going to be great (p.s.- i actually have the pre-release copy of the album, and let me just say, it is my favourite of 2017 thus far). review of it will be coming in March. Stay tuned.